Updated: Amazon(s amzn) isn’t the only cloud provider slicing storage prices. 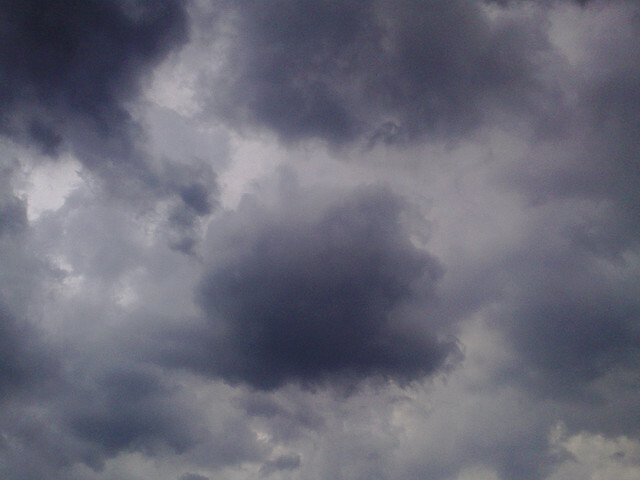 On Tuesday Google(s goog) cut the price on Google Cloud Storage by up to 15 percent in some cases. With this move and the naming of five new front-end storage partners, Google appears to be making a serious play for the enterprise storage business from which it has been largely absent. In that arena it will square off with — you guessed it — Amazon Web Services, which last month cut its S3 storage prices and on Monday discounted Elastic Compute Cloud (EC2) services. Standard Google Cloud Storage now costs a tad less than Amazon S3 and Microsoft Windows Azure storage. Generally, the price of cloud storage is broken out into different per-GB fees for data stored, plus network charges for data flowing into and out of the cloud and the cost of certain requests. Google also said it is partnering with five storage players — Panzura, Zmanda, StorSimple, TwinStrata and Gladinet — to make it easier for companies to push their data into the Google cloud. For example, StorSimple’s storage appliance — which already works with Azure — can now connect with Google Cloud Storage. The full Google details are on its website, but the price for standard storage now starts at $0.12 per GB stored, down from $0.13 for up to 1 TB of total data. Updated: Data transfer into the network is $0.21 per GB and Data transfer into the network is free and out of the network is $0.12 per GB for up to 1 TB. Standard Amazon S3 storage costs $1.25 $0.125 per GB for up to 1 TB of total storage per month. for storing thumbnails, transcoded media, or other processed data that can be easily reproduced. 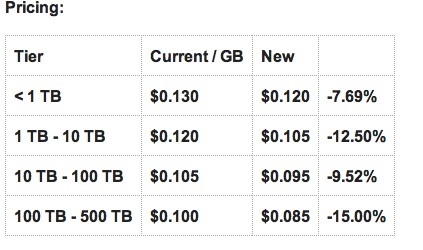 (AWS reduced redundancy storage is less, $0.093 per GB for up to the first TB.) AWS does not charge for data transfer into the cloud but does charge for transfer out, after the first gigabyte. Microsoft Windows Azure storage is also $0.125 per GB for up to 50 TB per month. All these variables make it tricky to compare cloud storage. Typically, “it’s not the storage that kills, it’s the network [fees],” said Carl Brooks, an analyst for the Tier1 Research division of The 451 Group. “Sure you can put a pantload of data in the cloud for $0.12/GB, but they charge you network fees to get it out again, and charge you a penny per 1000 transactions. A moderately popular website could do thousands of transactions per second, every second of the day. Great for archiving, less so for busy applications,” he said. In addition to the paid options, new Google Cloud Storage users have a free trial quota good till June 30, 2012. It covers up to 5 GB of storage, 25 GB of download data for some regions and 25 GB of upload data. There seems to be a real race to the bottom in cloud storage. For all the jockeying of these huge players, some feisty upstarts, including Spideroak, still boast even cheaper storage options, at least for archiving. you must be right…ckg and will update. thank you! This article doesn’t do a right price comparison of cloud vendors. Amazon S3 offers 99.999999999% durability. What is the comparable durability number offered by Azure or Google? The truth is they are not willing to give a number. Customers should be doing an apples-to-apples comparison. Nice share.. I have another tool which will help you to get unlimited amazon codes and you can buy every thing from amazon.. While with these new prices Google Storage base tier (1 TB) costs $0.12/GB, Amazon’s RRS storage is still lower as it costs just $0.093/GB. This article doesn’t make it clear enough. updated the story to reflect this. thanks. At the Ignition Partners event in Seattle yesterday, I asked Om Malik what he thought happens to the storage business in this cloud transition. Omâ€™s response was that the $50 billion of gross margin in enterprise storage is ripe for disruption with the transition to Amazon and Azure. He added that storage will move from the capex towards the opex model and predicted that the major incumbent storage vendors will need to enter the market with their own storage services soon (the next 12 months). What Om has summarized so succinctly will have a profound impact on the storage business. Google coming in with a strong commitment to enterprise storage with the new pricing and partners makes this wave bigger.